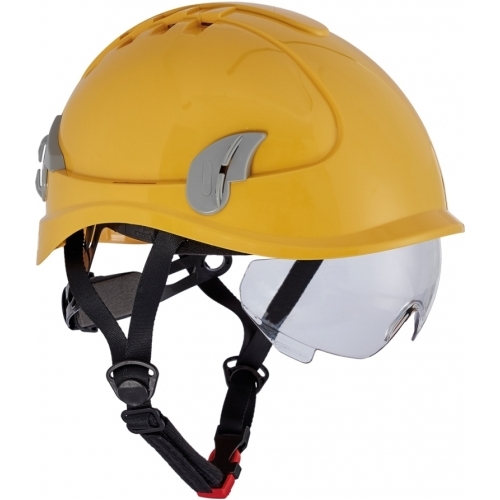 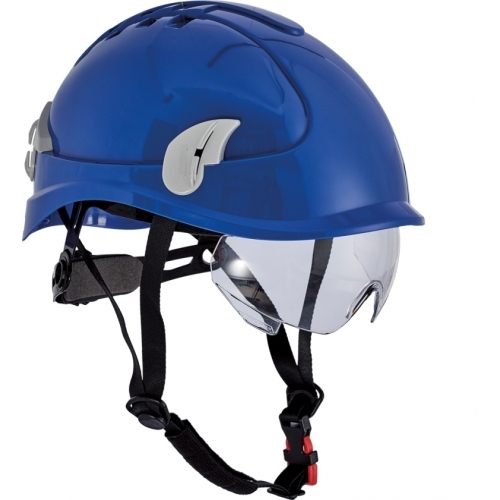 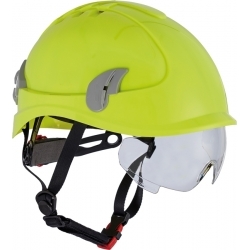 The ALPINWORKER helmet is one of the lightest helmets available on the market and it is suitable for working at heights. Its weight is only 260g. Material: PC. The vented version ensures the user's maximum comfort and it is equipped with special projectiles for mounting a headlamp. 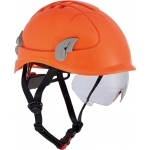 Its short peak is suitable for working at heights. 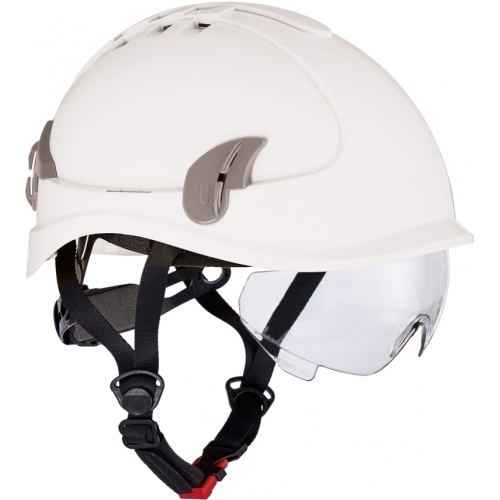 Its integrated comfortable safety glasses meet the EN166 standard. 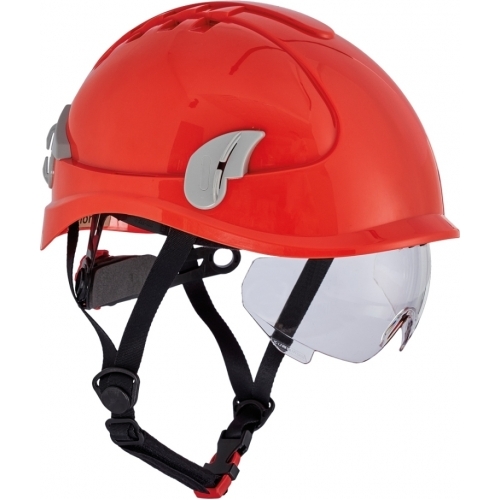 Easy size adjustments by means of a wheel ratchet. Size: 53-66cm. A 6-point textile suspension, unique system of 4-point depth adjustment of the rear harness, a 4-point chin strap, heat resistance: between -30 °C and +50 °C, product life time: 5 years.